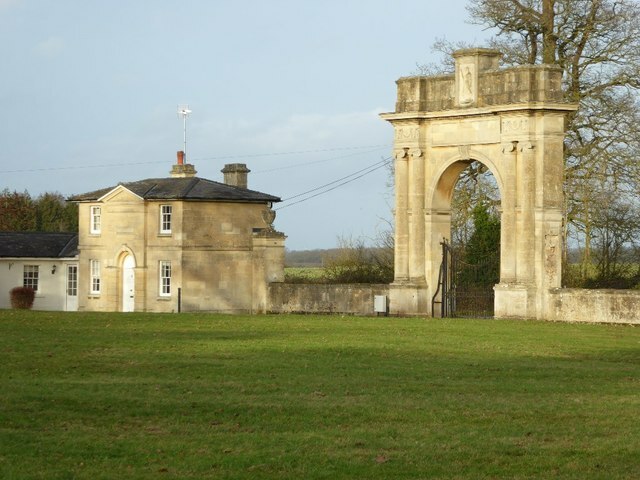 The Pershore Gate is also known as the London Arch and is the east entrance to Croome Park, the lodge can be seen seen to the left. Here the entrance is viewed from inside the parkland. The land immediately inside the gate is private and not open to the public. The arch was designed by Robert Adam in 1779, it possibly is based on the Roman Arch in Pula which Adam saw in 1757, though it is more likely to be inspired by the Temple of the Sun at Palmyra. The arch and its lodge are Grade I listed.